Soon, I'm sure. Though with the Start Collectings going up in price, it might not be the best any more. Either way, I'm sure it'll be out soon. We're also waiting on a few others, like the Idoneth Deepkin Start Collecting. The highest price for a Start Collecting now is $95USD. We know the Idoneth start collecting is slated to be set at the middle price($90)--I wouldn't expect the GSC to be more than that. That GSC start collecting box is a pretty decent value for what's included. If they're going to be like that going forward (as in more units and goodies included) I guess I can stomach the price as long as we're getting a decent savings on top of things. Hmm... I don't think there's a single regular Marine miniature in any picture throughout the whole book. If only that applied to the Loyal 32 everywhere. You don't need either. You have the greatest weapon in the game, the Las gun with deeps trike and orders. You can literally do for free what general discussion had a 28 - page when acolytes could do it for 2cp on one unit. Frfsrf brood bros actually do 1/8 more than the acolyte handflamer bomb. I think it does say a lot about the primaris range that near the back of the book there's a Shot of some gsc fighting some rivers and they used 3 identical reiver miniatures for it. Oh, come on, HBMC, we all know what you're really mad about: The sheer number of motorcycle riding rough riders about to hit table tops. I'm combining Vics RR arms with these and some anvil heads. Not happy with the limited pose options, but hells bells, it's time to ride. No I really am annoyed that GW continues to let the miniatures curtail their rules, even (or especially) when it isn't necessary. Guard Plasma Guns and Meltaguns exist. The fact that they're not in that specific kit should not stop Brood Brother squads from getting them. This no-exact-model-in-this-specific-box = no rule nonsense is asinine, and is actually anti-creativity. "But they're just PDF! They might not have access to complex weapons like Melta..." no, stop, don't even try fluff justifications for this. We know that they don't get Plasma Guns, Meltaguns or anything else because of this, even though this, this and this all exist. That said, thanks for the idea about the Vic arms. Hadn't considered that. Yeah, I find it pretty absurd that they discourage really easy weapon swaps (i.e. not conversions, not drawing from other lines, and not drawing from anything esoteric or old). Honestly, I thought that the GSC conversion pack was designed to give the line a lot more legs without needing other kits, since it could fit with such a wide variety of IG etc. with little work- it was surprising that they really seem to be intended just to build that one Cadian variant squad. Brood brother squads can take any IG special weapons though. It's done in exactly the same way as they'd take a Company Commander, Basilisk, Shadowsword, or basically any other guard-specific options. Brood brother squads can take any IG special weapons though. ... Cool rant though. You sure about that chief? Alls I sees is GLs and flamers! Don't be disingenuous. 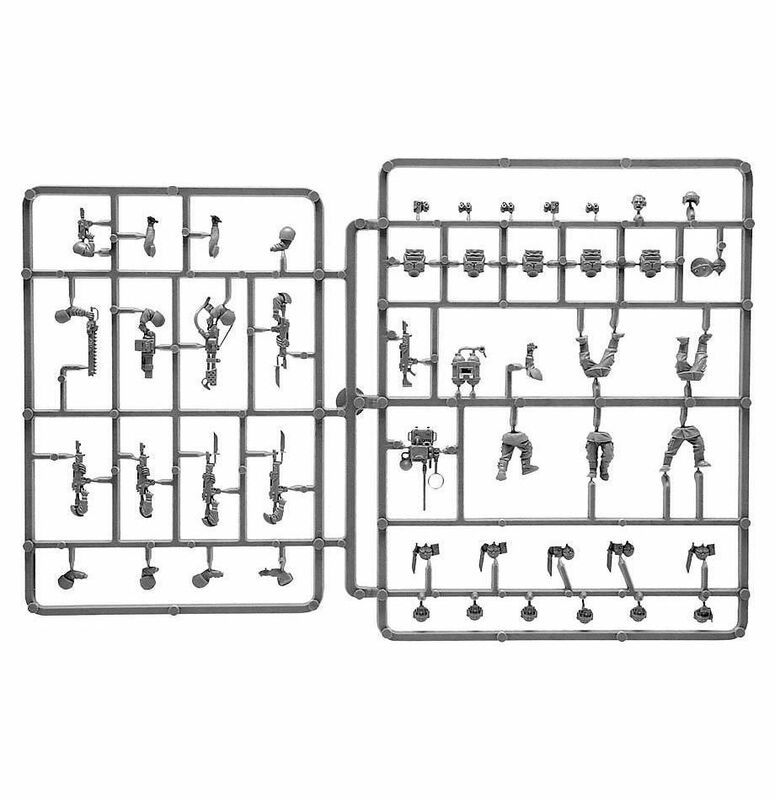 You know - you know - that they only get those two options in the actual Codex because that's all that's on the sprue. So yeah, its not a bad thing. There is also a fluff justification (maybe less so with the bladed cog) in that how would they be able to maintain all of the plasma, let alone make the ammo? Bullets, explosives, grenades and flame weapons are a lot easier to produce. Do we really need to make GSC Guard ++? I agree (with the sentiment if not necessarily the sarcasm). It would be a bad thing for the brood brothers datasheet to be a copypaste of guardsmen. But it is also unfortunate that the distinction between them is limited to what's in the box. There's a definite trend of this throughout Games-Workshop releases as of late, and although I myself can barely kitbash a decent sandwich, I definitely appreciate looking at other peoples' fine work. I don't see what the index has to do with this, melta & plasma guns weren't an option in there either. You know[ that it's still possible to use those weapons in a GSC army, and you're the one being disingenuous by intentionally posting the wrong unit entry. 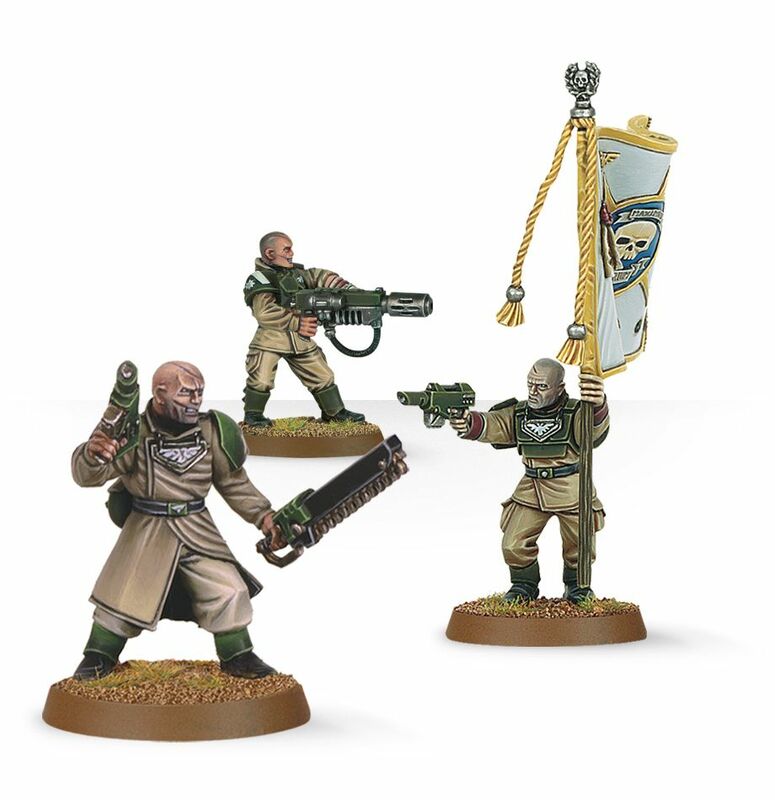 Whining about not having plasma guns in the GSC codex is no different to whining that they didn't include a page for Command Squads or Baneblades. They're still absolutely nothing stopping you from taking any of those things. GW had to draw a line between the two armies somewhere. Having the GSC codex include just the GSC-branded IG kits seems like a pretty sensible place. I don't see what the index has to do with this, melta & plasma guns weren't an option in there either. You knowthat it's still possible to use those weapons in a GSC army, and you're the one being disingenuous by intentionally posting the wrong unit entry. You've said it yourself, they are two separate armies. GSC get as much access to guard equipment as space marines do, after all. Allying in (with penalties to CP) is not the same thing as being in your codex in my opinion. HBMC's point is valid, the only reason they aren't an option for Brood Brothers is that they aren't on the sprue. Genestealer Cults are also only able to steal leman russes that come from the Leman Russ Battle Tank tm kit and not the Leman Russ Demolisher tm kit. Well i guess GSC won't be using IG all that much anymore. ... intentionally posting the wrong unit entry. That's the Broodbrother entry, dude, screenshot'd right from the Codex. That's 100% what it says. They're still absolutely nothing stopping you from taking any of those things. Imma need you to show me where, in the Codex, it says that my Brood Brother squads can take Meltaguns and Plasma Guns. Actually, Wouldn't the broodbrother unit need an entry under wargear for the HWT? Because as it stands, you actually can't equip HW's? Or am i messing up? EDIT: I just cheked it with the regular Inf squad entry. Infact Broodbrothers can't field a HWT. I'd say that is one for GW FAQ. 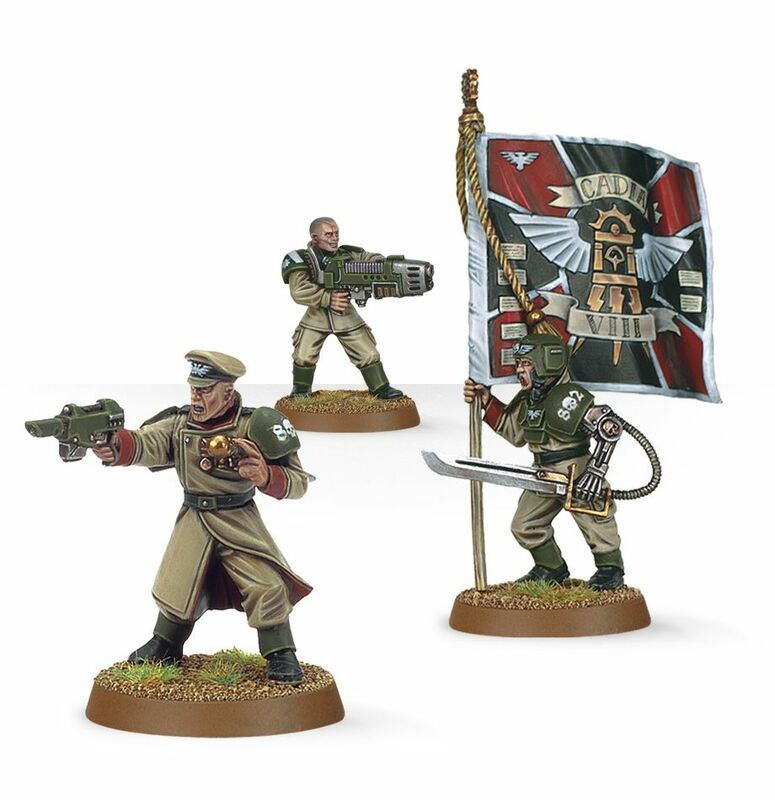 Err, why would it be a bad thing for Brood Brothers, who are PDF/Guardsmen under the control of the Cult, to be a copypaste of Guardsmen, ie the thing they are? or just not with the bullgryns/crusaders. Move thrice/fight thrice crusaders are among the silliest things ive ever seen unintentionally added to the game. Also, even if BBs could take meltaguns, nobody would. They're utterly broken as-is just with lasguns. 20 man squadcap, deep strike, and you can ally in a company commander for orders. That is the most broken infantry unit in the entire game. You might want to read the entry a bit closer, since it's posted in this thread. The part where it says "Up to two Brood Brothers may form a single Brood Brothers Weapons Team; this team must take one item from the Heavy Weapons list." 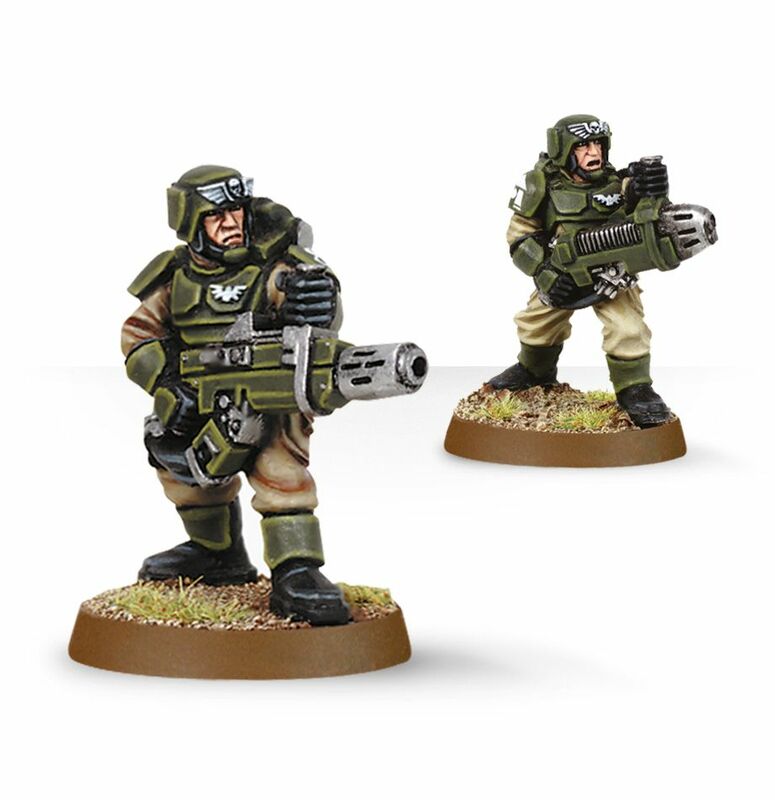 I don't have the Codex to hand, but I'd be fairly sure that the heavy weapons list includes....heavy weapons. An awkward way of handling things, but they do have access to HWTs. No i don't need too, THE WARGEAR OPTION IS MISSING, unlike the Infantry squad and any other army that can form HWT's need the correct wargear option. Basically you can't buy something from the HW list, which you must in order to form a HWT. It will be quite hard to get the company commander in order distance, when you are deep striking the 20 Brood Brothers though. So I am not convinced it is super broken. Basically you can't buy something from the HW list, which you must in order to form a HWT. I'm not seeing what you're getting at. You need the option in the "WARGEAR" Part of the list to buy the HWT. There is none if you look at your screenshot. Ergo you can't form a HWT. Basically; it's a nitpick but still RAW, you don't have the wargear option. I am not stating you can't, it is obvious from the box and the rest of the entry that you should. That's why i said that is one for a GW FAQ. No, it definitely says right here they take an item from the heavy weapon list. and the heavy weapon list definitely has all the normal heavy weapons. Compare it to the Inf squad entry of the AM. Compare it to any other unit that can form a HWT. You have a hard time getting a company commander who has nothing to do turn 1 other than double advance himself into position? put it this way: before release, we had a 25-page thread crying about how gsc could deep strike 20 acolytes, use a 2CP stratagem, and hit an enemy screen with 20d6 S3 AP- hits (70 on average). 40 guardsmen FRFSRF'ing for 0CP at 12" put out 80 S3 AP- hits and cost exactly the same plus 30pts for the commander.